Streams may flow and birds may sing, but shoulder-season weather can leave you soaked. Patagonia's Piolet Jacket remains unfazed. 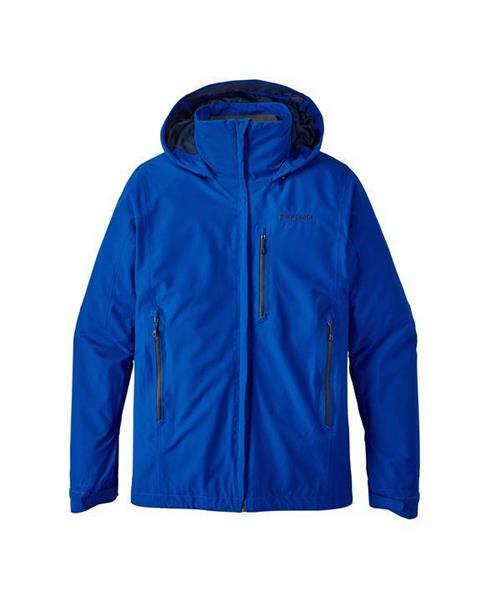 It protects, moves and breathes with a supple 2-layer polyester waterproof/breathable and windproof GORE-TEX® fabric that has a DWR (durable water repellent) finish. The hanging liner is made of a brushed and wicking mesh in the body, with smooth-layering taffeta in the sleeves, and the drop-collar design on the helmet-compatible, 2-way-adjustable hood provides exceptional coverage and visibility. Details include minimal-welt exterior and interior storm flaps on the center-front zipper; extremely low-bulk, watertight, coated pit zips; and three external pockets (the jacket also has an internal zippered security pocket). With low-profile contoured cuff closures and full-reach gusseted underarm panels for mobility.